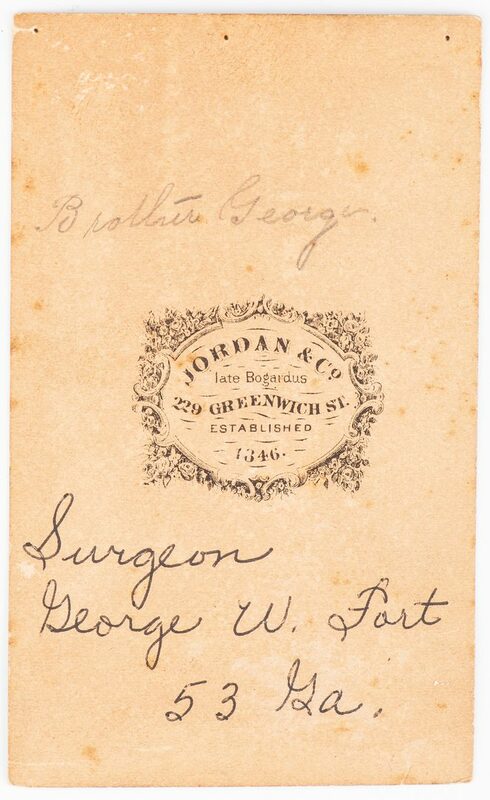 Three (3) items related to Dr. George Washington Fort, a Confederate States of America surgeon, 53rd Regiment, Georgia Infantry. 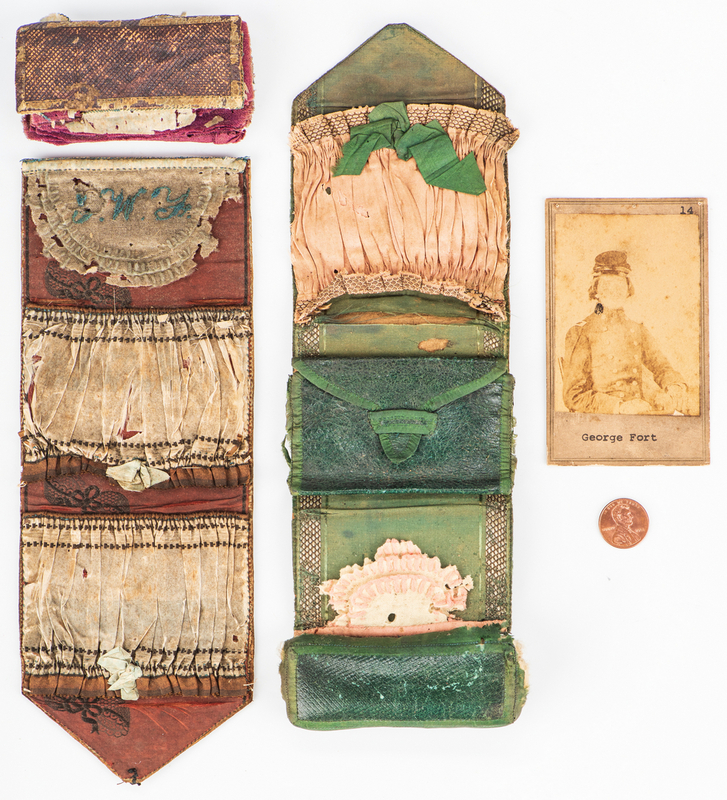 1st-2nd item: Two (2) Civil War era leather roll up sewing kits or "housewives" carried by Dr. Fort. 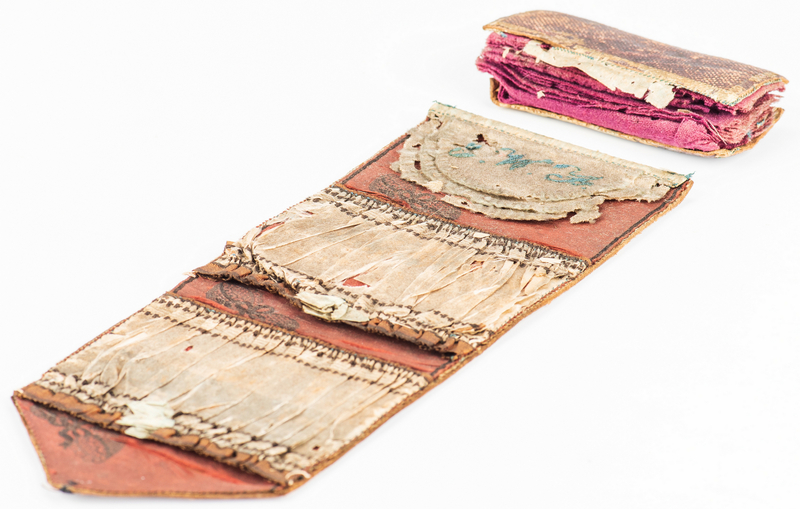 The sewing kits, one with burgundy leather exterior and one with green, are lined with pink and white silk fabric, leather, and embroidered cotton on the interior compartments, including the monogram "G. W. F." to the burgundy kit. 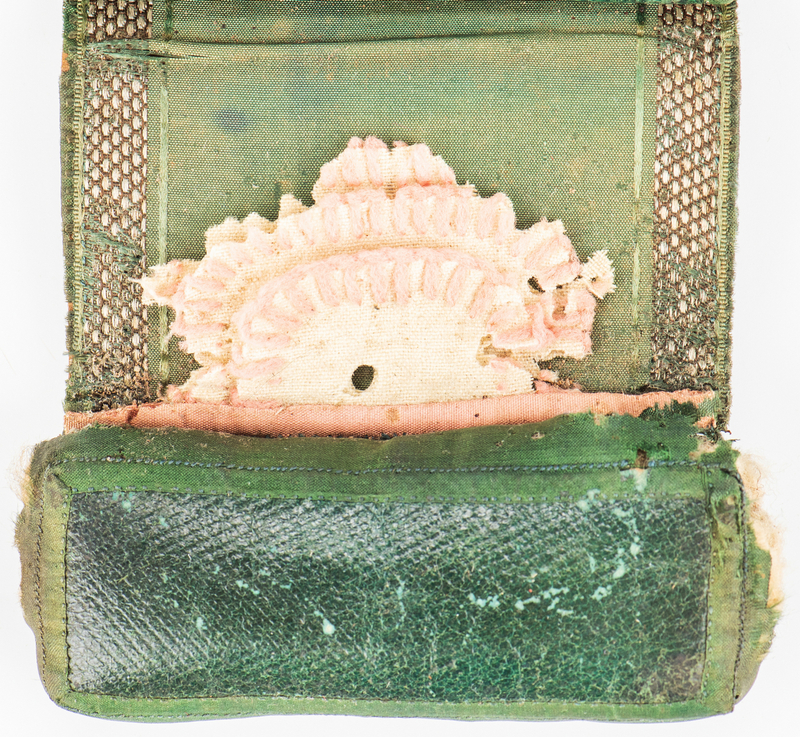 Compartments empty except for some brown thread in a compartment in the green sewing kit. 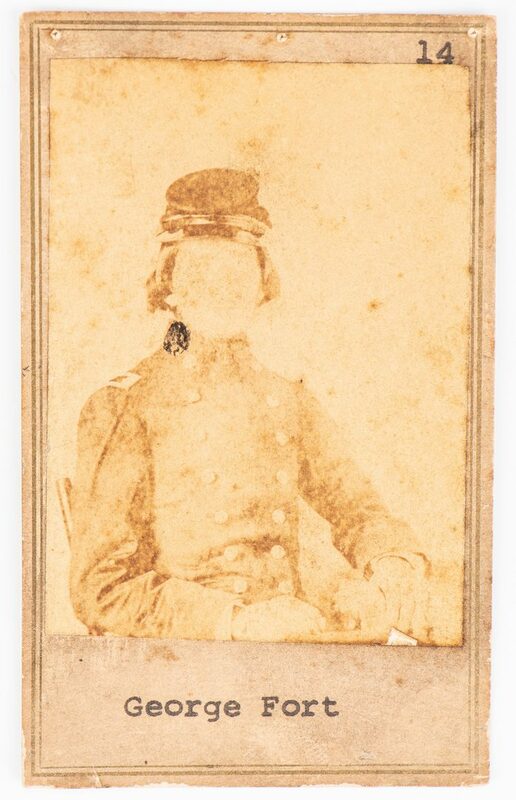 Approximately 10 1/2" L x 3 1/2" W x 1" D. 3rd item: One (1) Carte de visite (CDV) depicting Dr. George Washington Fort, seated and in his uniform. 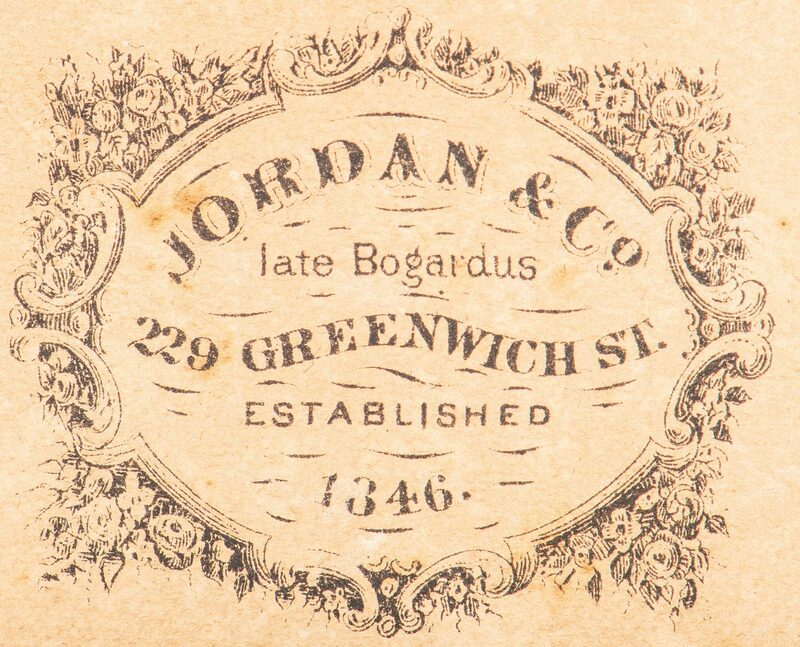 Studio marks for Jordan and Company, late Bogardus, 229 Greenwich street, New York, NY, with ink inscriptions identifying Fort, en verso. Also includes a photocopy of Fort's CDV. 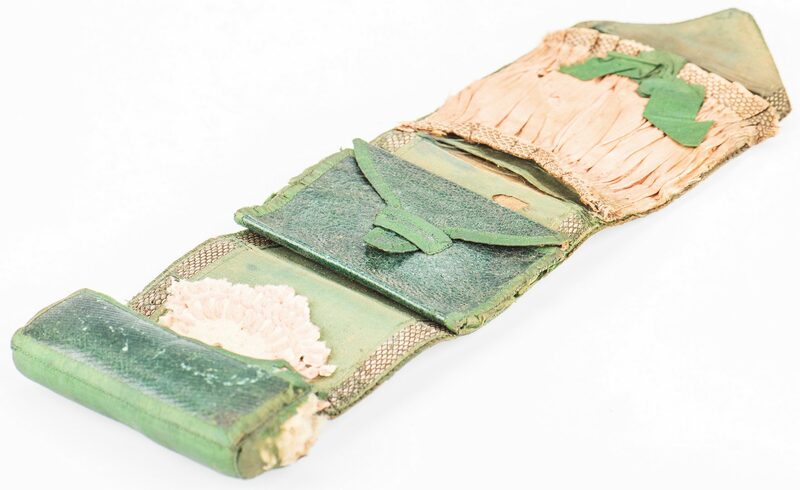 4 1/8" H x 2 1/2" W. Provenance: Private Ringgold, Georgia collection; among items purchased in the 1960's from the old location of the A. P. Stewart Chapter of the UDC (United Daughters of the Confederacy), formerly the Nathan Bedford Forrest UCV (United Confederate Veterans) home, St. Elmo, Chattanooga, TN. 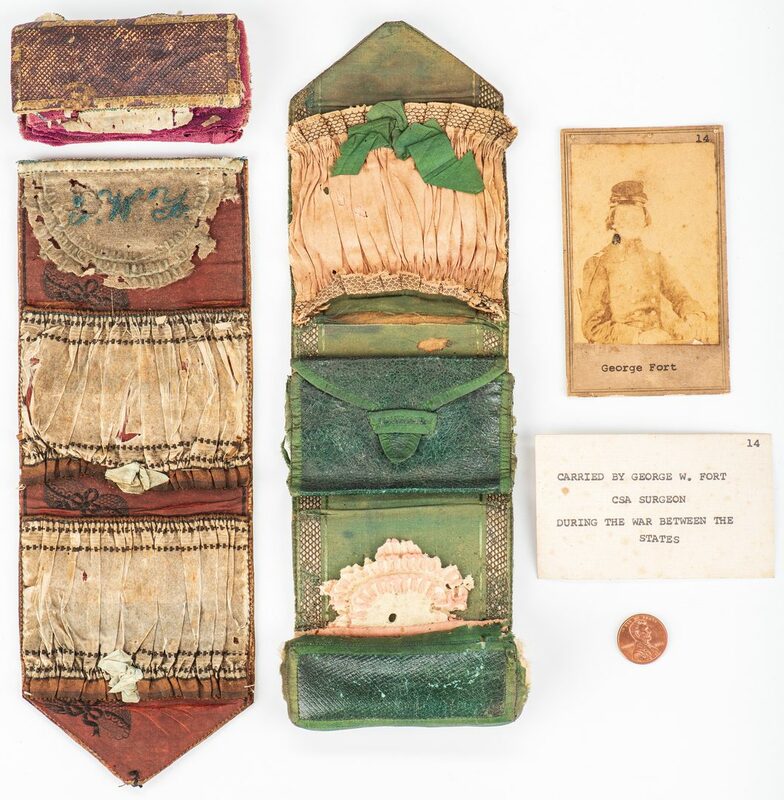 Private Ringgold, Georgia collection. Biography: Dr. George Washington Fort was born in Washington, D.C. on March 28, 1828 to Dr. Tomlinson Fort (1787-1859) and Martha Low Fannin (1804-1883). 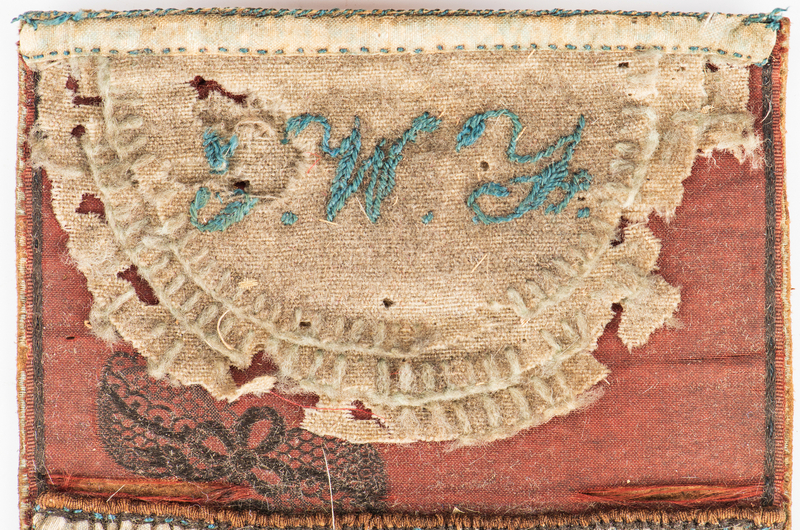 He was a Confederate States of America surgeon, 53rd Regiment, Georgia Infantry during the Civil War. 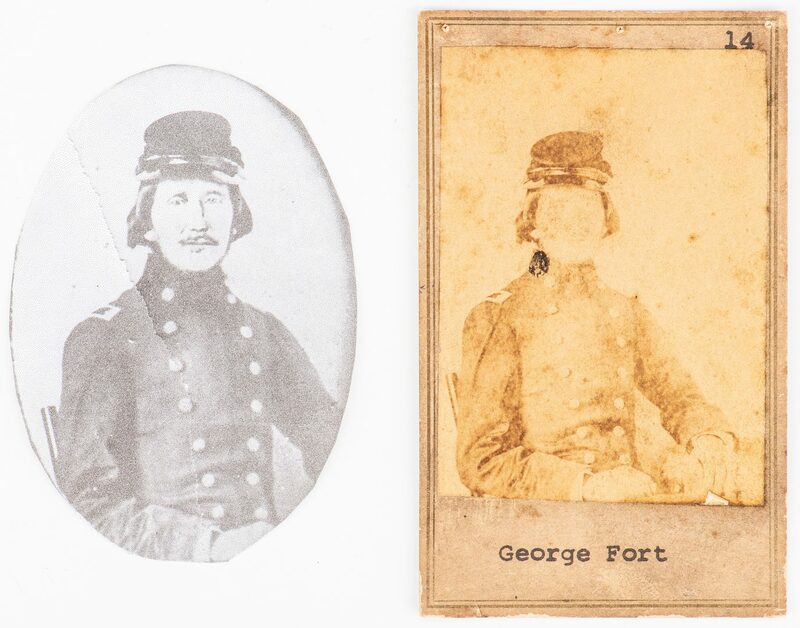 Fort's two brothers, Lieutenant John Fort and Colonel Tomlinson Fort, both served in the 1st Georgia Infantry regiment. He died on May 4, 1866 and is buried in Bibb County in Macon, Georgia. See related lots: XXXX CONDITION: 1st-2nd items: Overall good condition with general wear, tears, etc. to be expected from age and manner of use. Pin cushion to burgundy kit separated from bottom. 3rd item: Face no longer visible due to sun fading. Overall fading, foxing spots, to be expected from age.